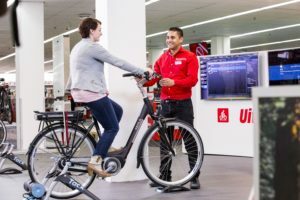 AMSTERDAM, the Netherlands – The booming e-bike has been keeping up the good mood in the Dutch bicycle market for several years. Regrettably those happy days are over. In 2012, Dutch bicycle sales dropped by no less than 13.2%, to just over 1 million units. The revenues went down by more than 14%, to the lowest level in years. The bicycle sales levels however, do not reflect the growing importance of cycling as a means of transport. Especially in the big cities, cycling is outperforming other kinds of transport and parking facilities for bicycles are often full. Despite the declining volumes, the public is still willing to spend money on a quality bike. The purchase price of retailer sales was nearly stable at – 0.7% for an average spend of € 954 for a new bicycle. The high price is the result of the e-bike boom. Even last year, the e-bike’s market share increased by 1.3%. In 2012 some 171,000 e-bikes were sold and last January the e-bike fleet in the Netherlands reached 1 million units. The e-bike has surpassed the city bike in sales volume. 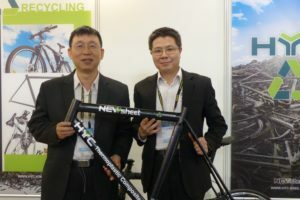 With a market share of 16% in units, e-bike sales achieved a revenue share of 42%. The e-bike’s turnover share among the IBDs reached 43% and therefore this channel is the most important in sales. For consumers the IBD is still valuable for advice, service and maintenance. 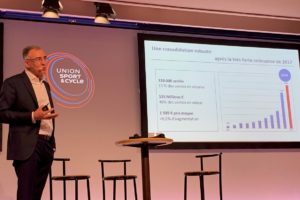 The average retail price paid for an e-bike was € 1,821. Overall, 67% of all bicycles sold in the Netherlands were distributed via the IBDs. In two years, the IBDs lost a minor 4% of the market to DYI stores and web shops. This might look small, but together with the market decline, the IBDs sold 166,491, or 19.3% fewer bicycles compared with 2010. And that is a heavy loss. The DYI stores and web shops sell more bikes to people who are looking for a cheap trendy product for their kids to go to school or for themselves for short distance commuting. The bad news on the market conditions did not come as a surprise. 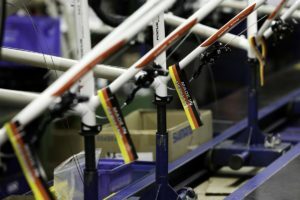 After dramatic spring sales with a 38% drop in units, bicycle sales in June stabilized a little bit but still decreased by 7% in units and 3% in revenues. The average price went down by 5% compared to June 2011. Unlike April and May, IBD retailer performance was much better than the overall market. The IBD market declined by 3% in units and 2% in turnover, while the average price went down by 2%. The DYI stores and supermarkets were still faced with dwindling sales in June as they sold 20% fewer bicycles related to June 2011. In that year they launched a very successful ”back to school” campaign. E-bike sales were excellent again in June with a growth of 13% in volume and 7% in turnover. The popularization of the e-bike comes with a growing number of suppliers which puts some pressure on prices. The first half of 2012 has not been very positive for the bicycle industry and retail in the Netherlands, to say the least. Looking at the total market the overall decline in units is 20% and in turnover 24%, compared to the first half year of 2011. These numbers account only for the sale of (electric) bicycles; they do not include P&A sales. 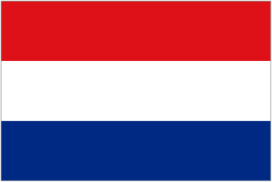 In retrospective the Dutch market is in bad condition. Between 2007 and 2012 the market lost more than 25% of its volume annually and the revenues declined by 26.6%. Money-wise the market was at its peak in 2009, with a total turnover of € 929 million. 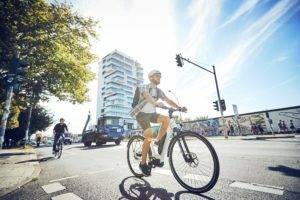 As the e-bike sales were a sky-rocketing market at that time, insiders expected the total market revenues to exceed € 1 billion in 2010 or 2011. It did not. All retail sectors in Holland have been suffering while the bicycle retail is relatively still in a good position. Slowly but definitely the economic crisis is getting a hold of the bicycle market, even in this cycling loving country. While people cycle more to save petrol for their car, they spend more money on repair and accessories, but certainly not on a new bike. And if they go to the IBD they really buy quality products. The average price for bicycles between 2007 and 2012 went up by no less than 35.4% and that is unprecedented as well. Good start of 2013 The bicycle market made a good start in 2013 according to the statistics of GfK Retail and Technology Benelux. Compared to the same period last year, the number of bicycles sold in January went up by 1%. Sales even increased by 10%. This means that the average price of the bike in January rose by 9%. The weather conditions were not that positive for cycling with lots of snow, severe frost but also several days with mild temperatures. The sales statistics for the IBDs was even more positive. 4% more units sold and an increase in revenue of 11%. Especially the sales of e-bikes were booming again. A surprising 37% more e-bikes were traded while revenues in this segment grew by 39%. Even the city bike segment was positive again, as the IBDs generated 4% more turnover in this category although volume slipped by 1%. However the e-bike and city bike were the only two categories with growth figures. All other segments still showed declining sales in volume and turnover.